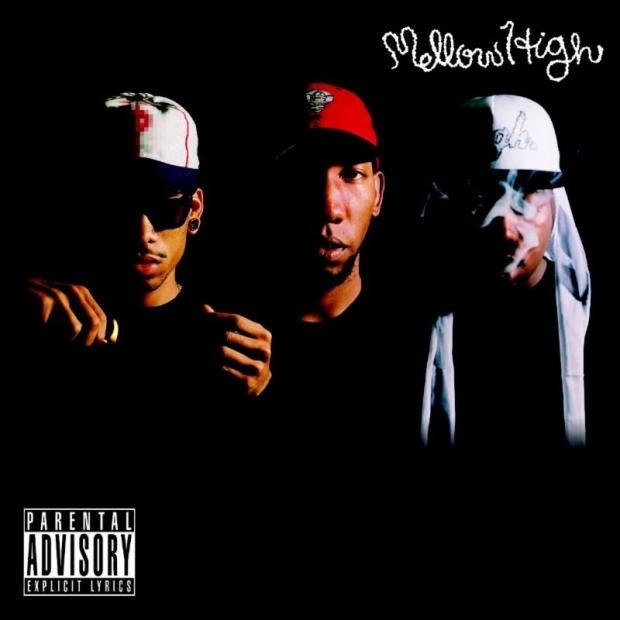 Mellowhigh is the name given to the collaborative efforts of Mellowhype's Hodgey Beats and Left Brain, and Domo Genesis of Odd Future. The trio first coined the moniker in 2011 with its first unofficial Mellowhigh track being “Rella” off The Odd Future Tape Vol.II. Mellowhigh followed up with the Lex Lugar-produced “Timbs” and “Go” in 2012, but talks of a full length mellowed. The group display a strong sense of understanding the difference between a Mellowhype track and a Mellowhigh one. If Mellowhype's last record Numbers was largely attached to the Odd Future pallete of processing the harsh tropes of trap through a meatgrinder to make a cartoonish Play-Doh of stoner rap, Mellowhigh is born of weed sessions with zero regard for Adult Swim and oddball production built from toy synths. It's as traditionalist as a Odd Future album could get without sacrificing their indentity in the youth-rap rebellion towards the 90s. The album is largely in-debted to the South's various sign-posts in rap as tracks like “Nobody” and “Goon'N” channel the horror-trap of Virginia's Lex Lugar, while “Roofless” is crunk-revisited. Domo Genesis shines as a vocalist on “Yu” with a chorus that channels the sing-song stoner-steez of Devin The Dude. While Mellowhigh stand strong on their own two for the majority of the debut, further collaborations with Smoke DZA and Curren$y on “High Life” and “Cold World” with Remy Banks and Earl Sweatshirt carry the backend. Mellowhigh's self-titled debut is out October 29 on Odd Future.